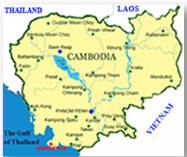 Hi, I am Mr. Chan a private tour guide and taxi driver in Cambodia. And is also can offer temples tour around Siem Reap city, Angkor Archeological Park .I have been a tour guide taxi driver for many years.I do transfering car, van taxi driver from siem reap to phnom penh with good English speaking driver / private car, mini van taxi driver from phnom penh to sihanouk ville / excellent private tour guide and driver to angkor wat temples tour. I can provide you with transport in many kinds of vehicle, including, if you prefer, an a/c vehicle. I charge very reasonable rates. My years of experience allow me to provide excellent itineraries. I look forward to making your stay in Siem Reap and Cambodia the most memorable adventure with cambodia taxi driver guide. Please don't hesitate to contact me for a quick reply! PLEASE BOOK NOW AND YOU WILL GET SOME DISCOUNT FROM MY SERVICE!